If you are looking for a blender which offers you the homogenous mixture of the ingredients then ribbon blender is the perfect choice for you. 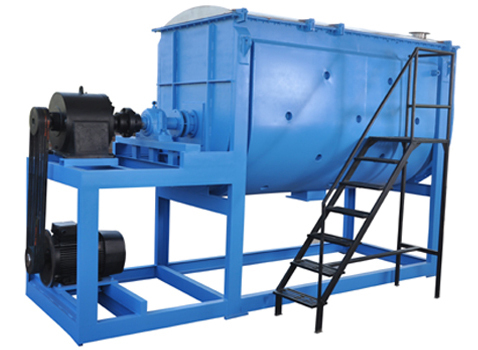 These machines are widely used in chemical, fertilizer, pharmaceutical, pesticide, and food processing industries for blending various ingredients. The ribbon blender compromises of “U” shaped tank shafted with two sets of ribbons. The two set of ribbons are arranged in a way one inside the other one. The sanitary design, highly sturdy construction and supreme quality stainless steel construction are some of the features given to ribbon blenders by our professionals. A list of food item which needs uniformity blending such as instant salad dressing, seasonings, flavorings, cocoa mix and much more can be perfectly blended with the help of ribbon blenders. Our blender machine offer durability, reliability and highest quality making our blenders a good choice to buy. You can buy as per your needed specification or as per your needed capacity from a wide range of selection offered by us. This entry was posted in Mixing Machinery and tagged Ribbon blender, Ribbon Blender Ahmedabad, Ribbon Blender Machine, Ribbon Blender Machine Manufacturer. Bookmark the permalink.